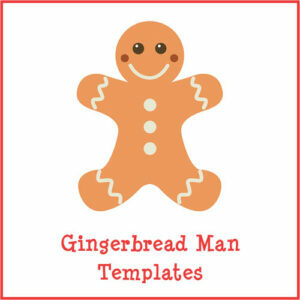 I’m excited to announce the release of my Gingerbread Man Templates printable. This is the next printable in my Christmas printables series. The idea behind the Gingerbread Man Templates printable is simple. Sometimes you just want a template or outline that you can use to fill in any way you want. And sometimes you want something a bit more complex. 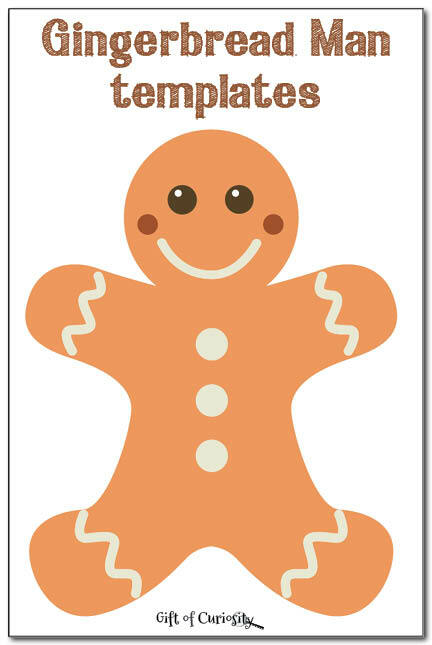 My Gingerbread Man Templates printable is designed to meet this need by providing you with three different gingerbread man templates you can download and print for any art or craft project you can imagine. Note: You’ll find more kid-friendly Christmas printables for kids on my Christmas Activities for Kids page. Gingerbread men are a staple Christmas treat. Their lovely aroma brings back childhood memories of the holiday season. There are endless craft ideas using gingerbread men. I’m hoping these templates will provide the inspiration you need for your next project! The first outline is designed to be printed on white paper. By providing only the outline, this template will inspire children to draw, paint, or embellish their gingerbread man with buttons and other tools. The second outline is designed to be printed on either while or brown paper. Again, the blank template will inspire children to creatively complete their gingerbread man. The third template is a complete gingerbread man. His face and decorations are already in place, but children may want to cut him out or decorate him further. Want a copy of my Gingerbread Man templates? Thanks for sharing these patterns! Pinned it! Found them at Mom’s Library. Thank you so much for the templates, I will blow them up and put on my fence for xmas design. Very cute templates! Thank you.